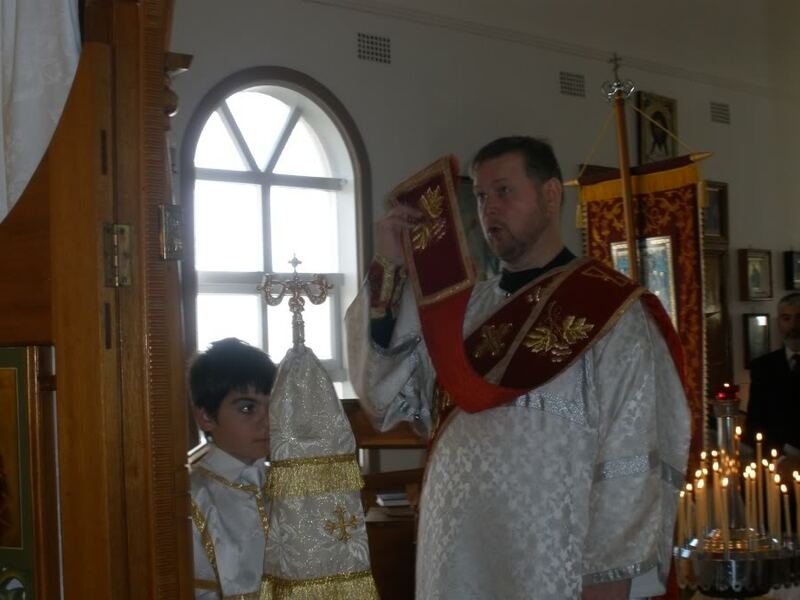 This year, the parish of Saint Nicholas in Wallsend, an outer suburb of Newcastle, NSW, celebrated its patronal feast on Sunday May 24, the Sunday after the feast. Two important occurrences made this year’s feast-day particularly memorable. 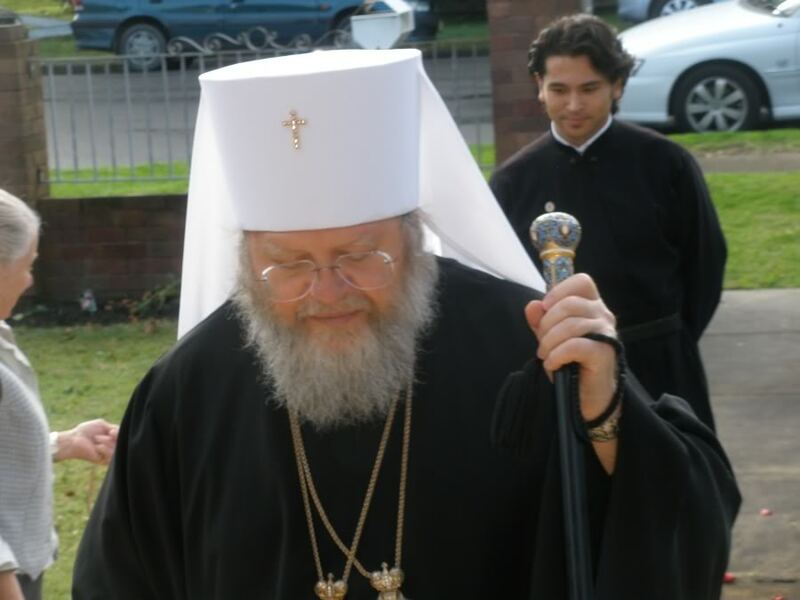 The first was the visit of our beloved First Hierarch of the Russian Orthodox Church outside Russia, Metropolitan Hilarion. 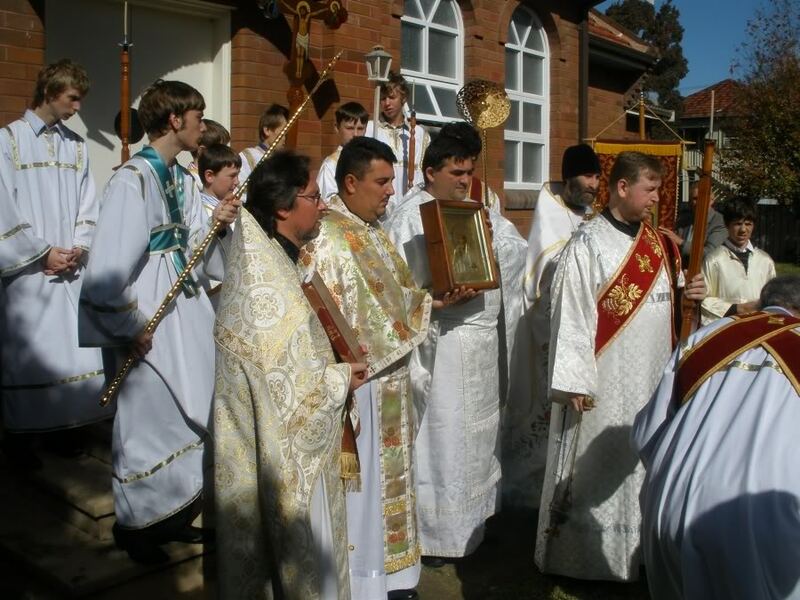 The second was the formal observance of the unification of a parish of the Moscow Patriarchate in Newcastle, the Theophany parish in Mayfield, with our parish in Wallsend. To fully appreciate the joy that this latter event brought to our parish, it is necessary to understand something of our history. 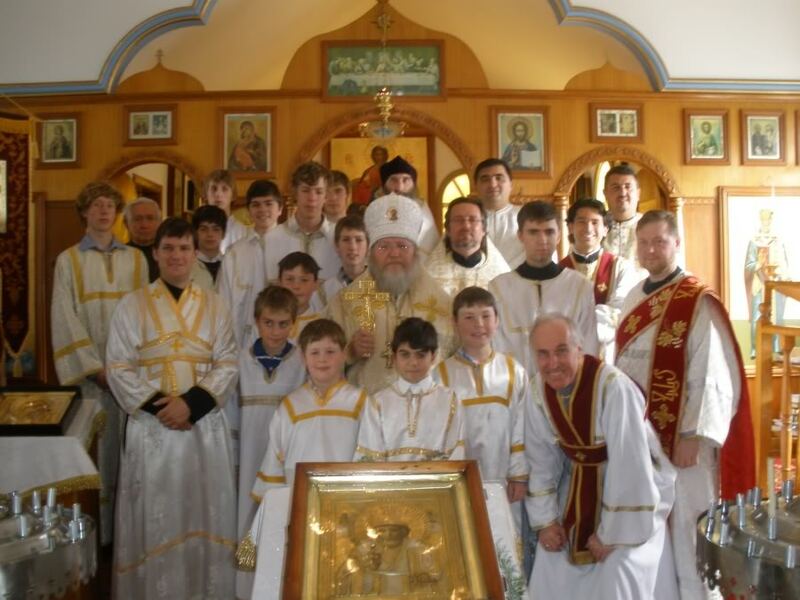 The parish of Saint Nicholas was founded in 1952 by the ever-memorable Archpriest John Lupish, and thrived for many years under Father John’s care. After his death in 1977, however, the parish was left with neither a resident priest, nor services every Sunday. Despite valiant efforts to keep parish life healthy, a “time of troubles” in the early 1990s led to a permanent division in the parish. 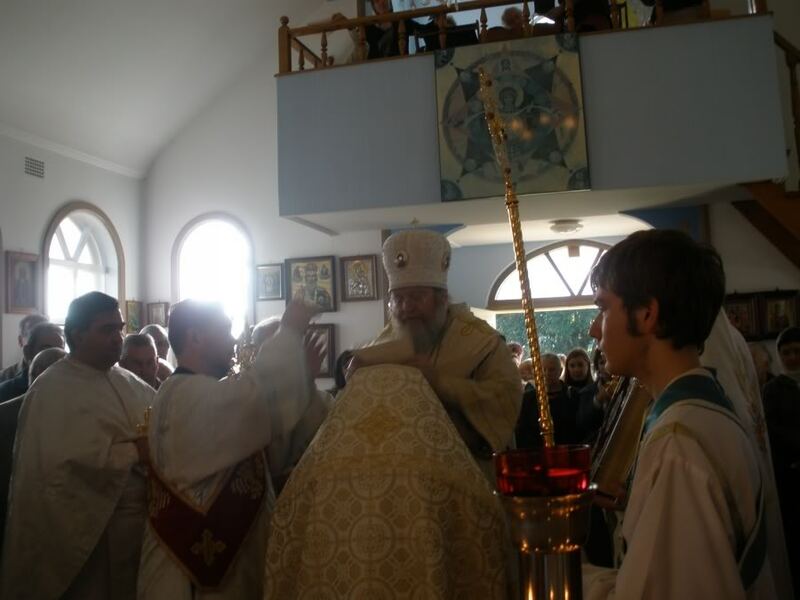 The Theophany parish emerged as a result of this division. The two parishes had little contact in the years that followed. 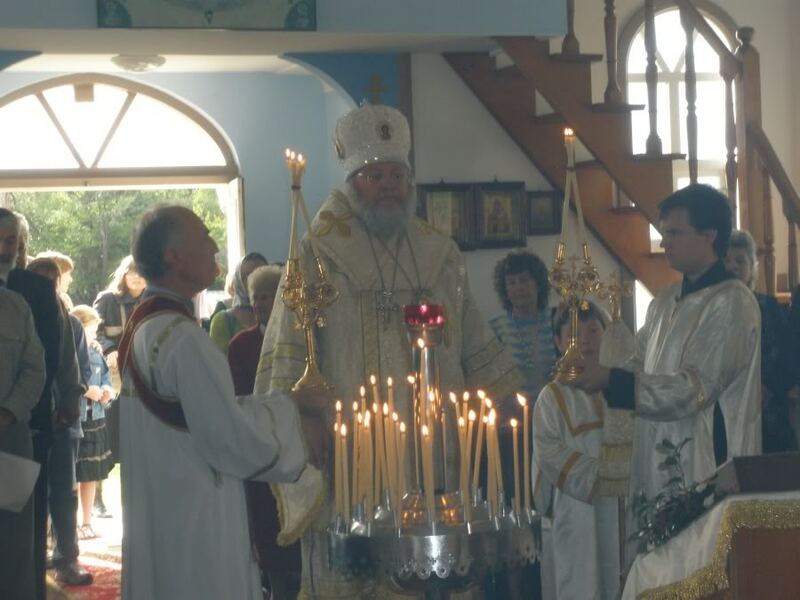 This began to change with the arrival from Moscow in 2004 of Father Alexander Filchakov to care for the Theophany parish, and the warming of relations between the Moscow Patriarchate and the Russian Orthodox Church outside Russia. 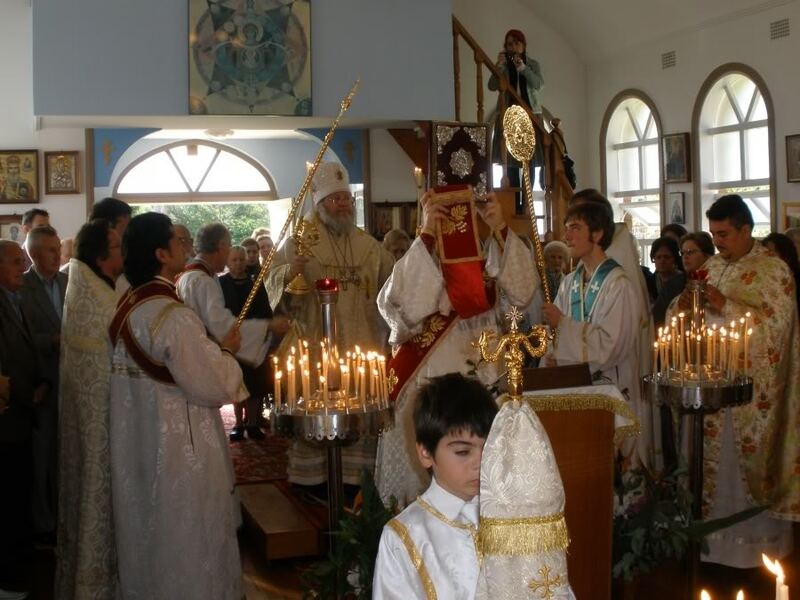 Mutual visits on festive occasions began and, following the signing of the Act of Canonical Communion in May 2007, concelebration at Divine Services became common. In time, consideration began to be given to the eventual unification of the two parishes. 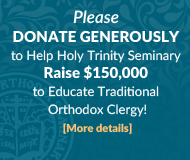 This came to pass much more quickly than expected when Father Alexander was obliged, by his father’s serious illness, to return to Moscow in February this year. 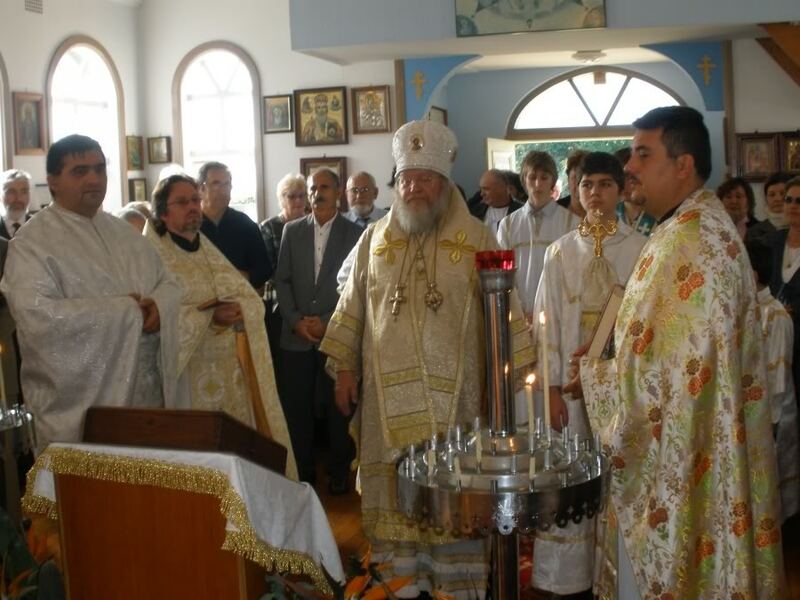 The ecclesiastical authorities agreed to his recommendation that the two parishes unite, and so it was that the Theophany parish, after 15 years in existence, closed its doors. This was indeed difficult for the faithful of that parish. In the years since it was established, many had found a true spiritual home there, and many knew no other. Understanding this, the Wallsend parish welcomed them, hoping that they would, in time, find similar comfort in the parish of Saint Nicholas. 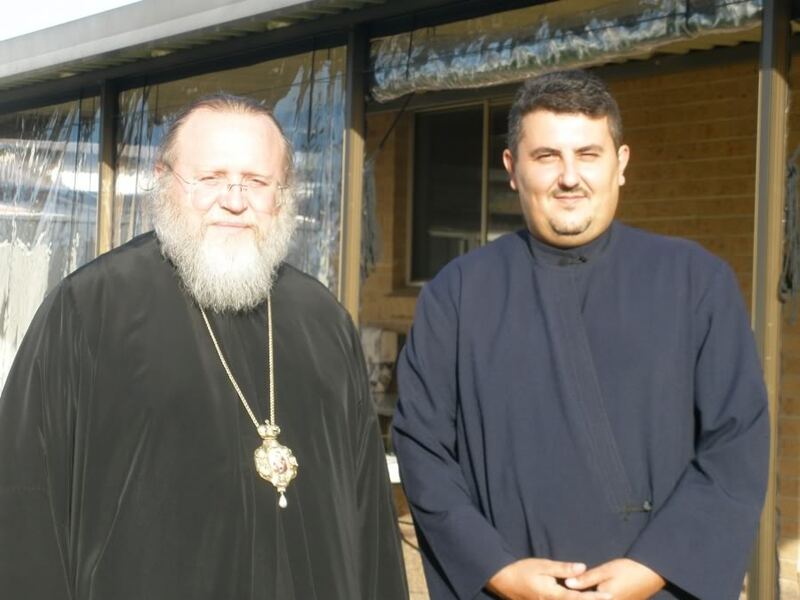 Metropolitan Hilarion arrived in Wallsend on Saturday evening for All-night vigil. 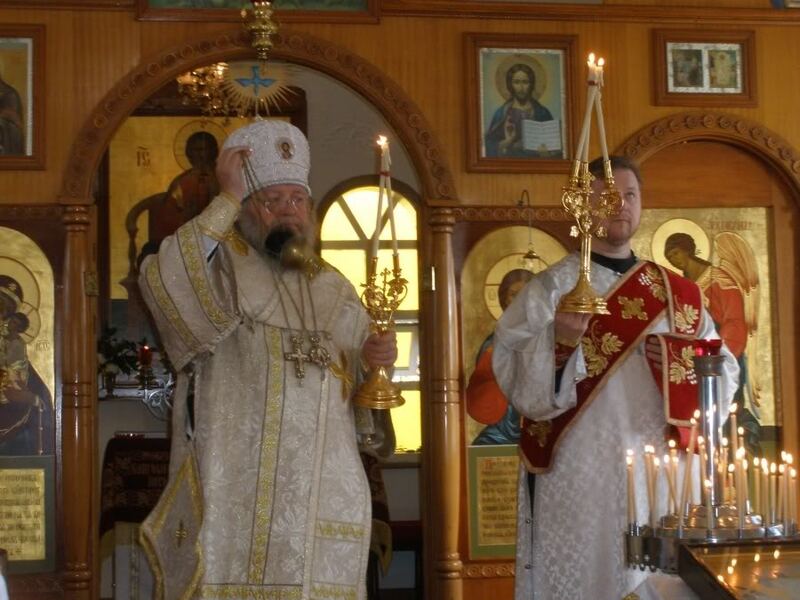 Vigil was served by the parish rector, Priest James Carles, with Vladyka Hilarion presiding during the litia at Vespers and the magnification and Doxology at Matins. 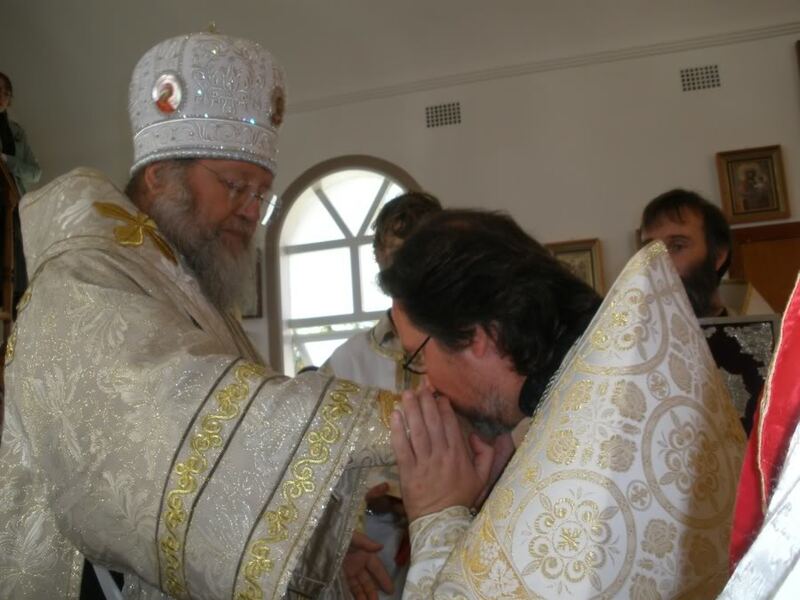 Concelebrating were Priest Igor Filianovsky, the rector of the Holy Trinity Russian Orthodox parish in Melbourne, a representative of the Moscow Patriarchate, and Hieromonk John (MacPherson). 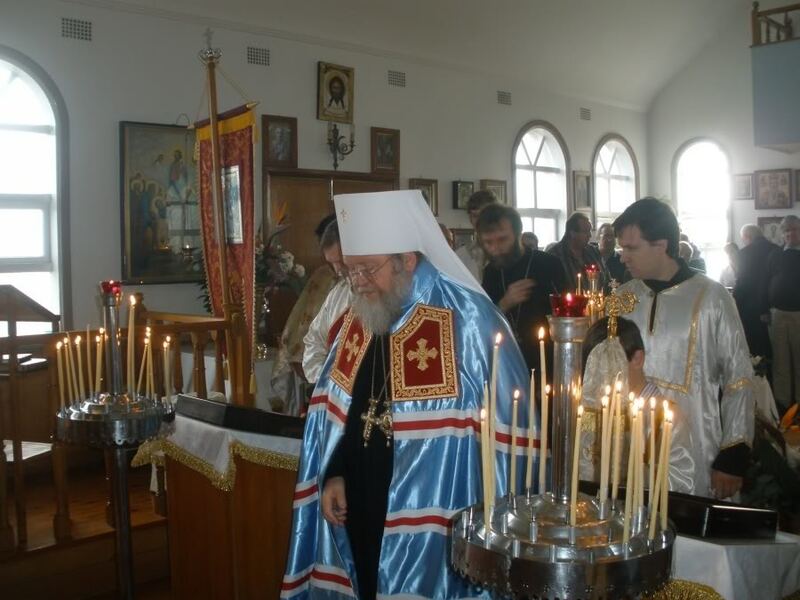 A clergyman of ROCOR, Hieromonk John had, as a layman, been a founding member of the Theophany parish. Following vigil, the clergy, altar servers and their families shared a meal in the church hall. The next morning, Father Igor served proskomedia while Father James served the lesser blessing of water. 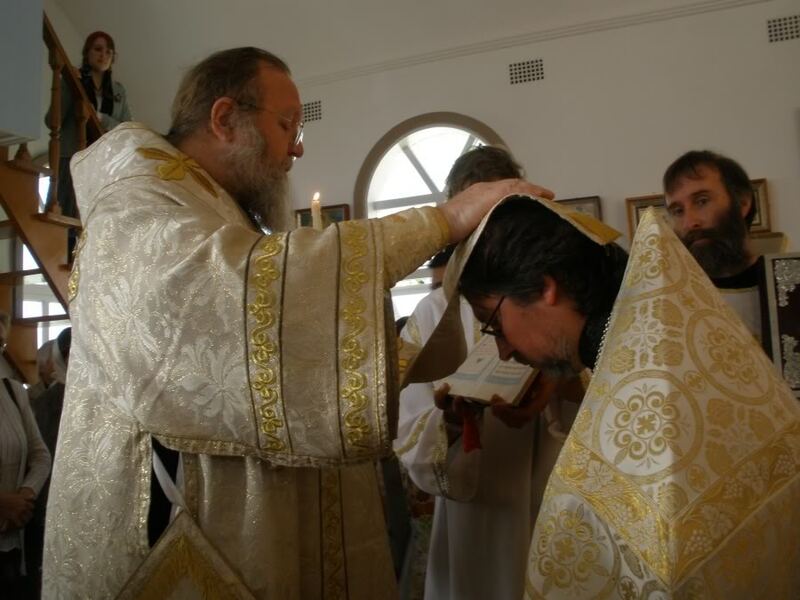 They were later joined by Father Milic Rakic, rector of the Saint Naum of Ochrid Serbian Orthodox Church in Newcastle, a former student of the Holy Trinity Seminary in Jordanville; Father Theodor Postelnicescu, rector of the Holy Apostle Andrew Romanian Orthodox mission in Newcastle; and Protodeacon Alexander Kotlaroff, a clergyman of the Diocesan Cathedral of Saints Peter and Paul in Strathfield. 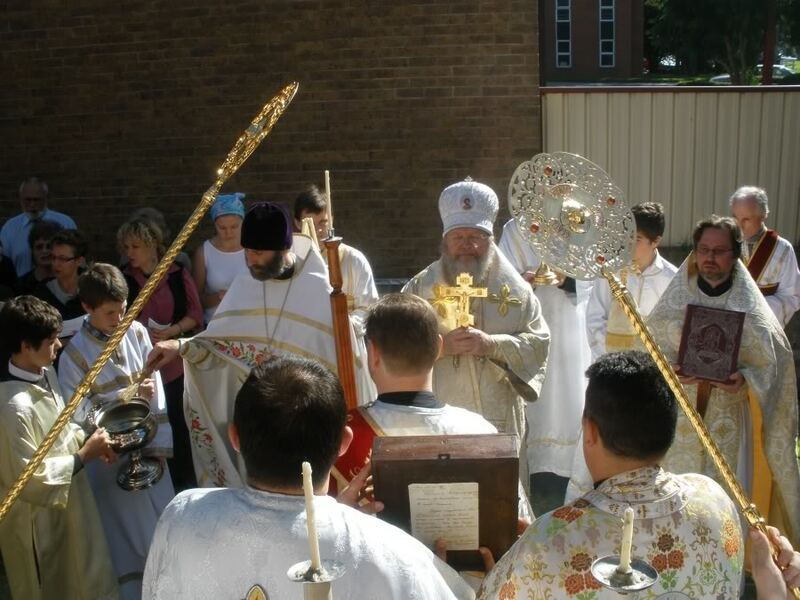 Vladyka was met by the assembled clergy upon arrival at the church door in customary fashion, having already been welcomed by the Starosta bearing bread and salt, and by the parish children scattering flowers. 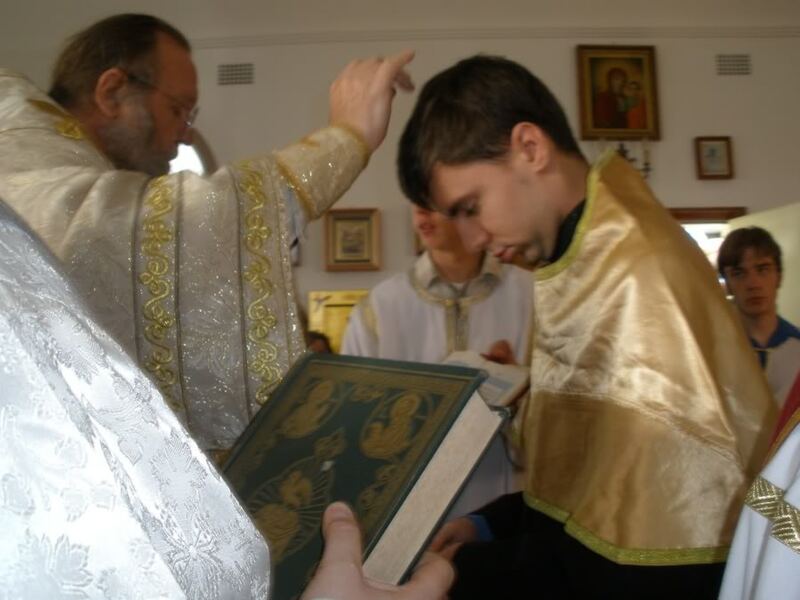 During the reading of the Sixth Hour, Evgeny Bondarenko was tonsured reader, and Reader Luke Goura was ordained Subdeacon. 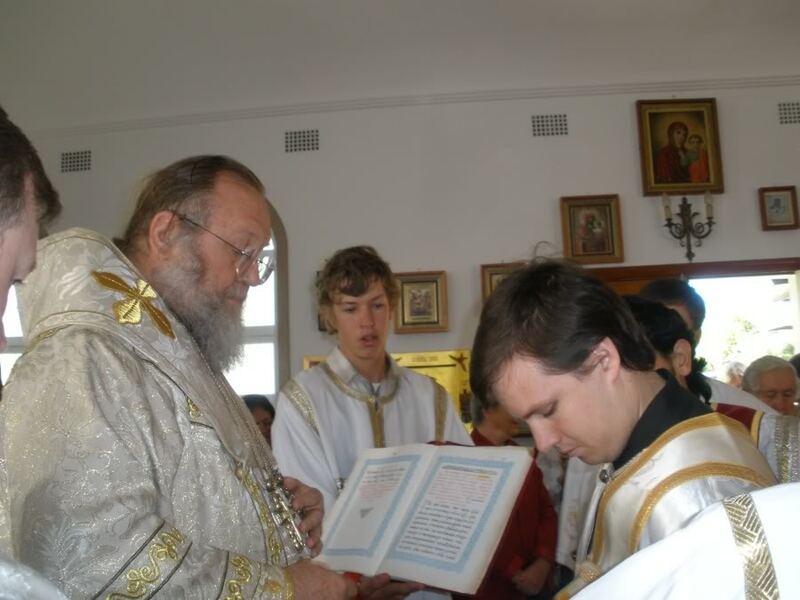 Russian-born Evgeny had assisted Father Alexander in the sanctuary at Mayfield, and had also served there as parish secretary. Upon the closure of the Mayfield parish, he had served and read during divine services at Wallsend. 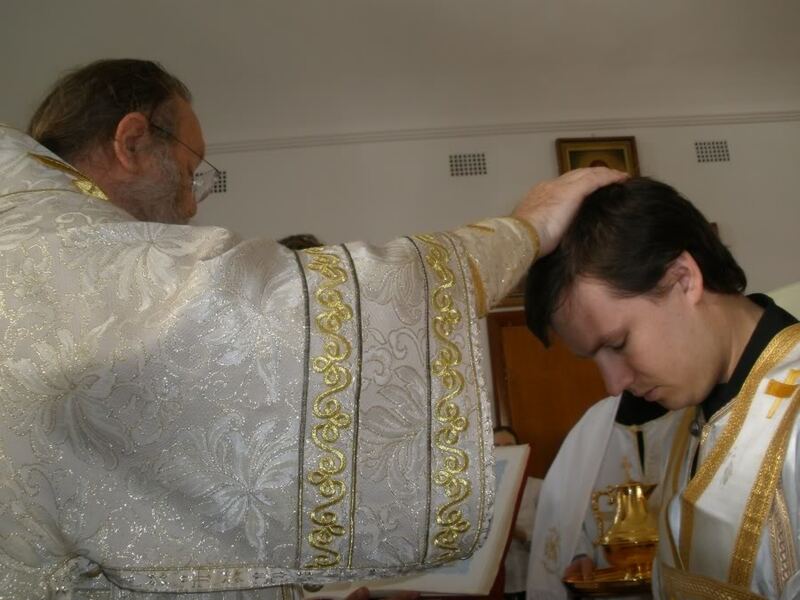 Reader Luke, the third generation of his family to be actively involved in our parish, had served as a reader for five years, having been tonsured by then Archbishop Hilarion in May 2004. 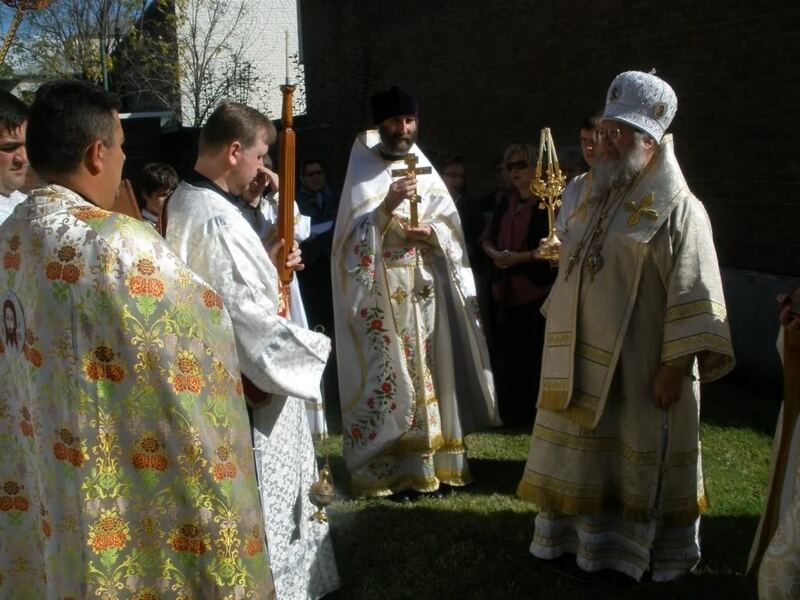 With the blessing of Bishop Mark of Egorievsk, Head of the Moscow Patriarchate’s Department of External Church Relations, at the Small Entrance Father Igor was raised to the rank of Archpriest. 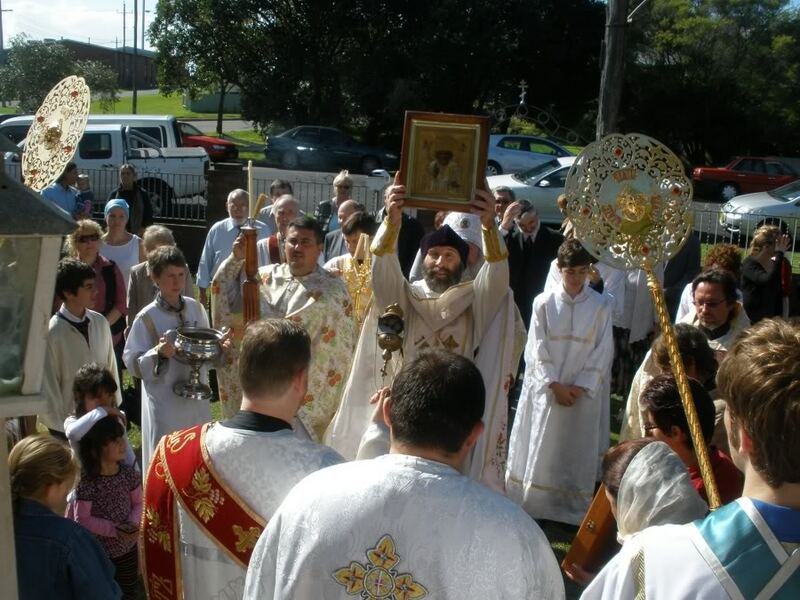 More than 150 people were present during Divine Liturgy, among who were the faithful of the Wallsend and Mayfield communities, the Serbian and Romanian Orthodox faithful, and visitors from Sydney and Gosford. Many received Holy Communion. 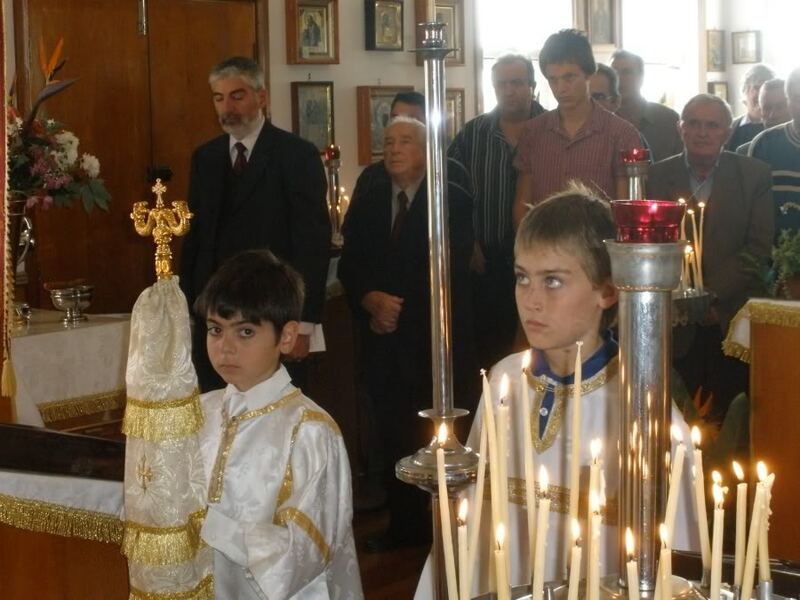 Divine Liturgy was followed by a moleben to Saint Nicholas with a procession around the church. 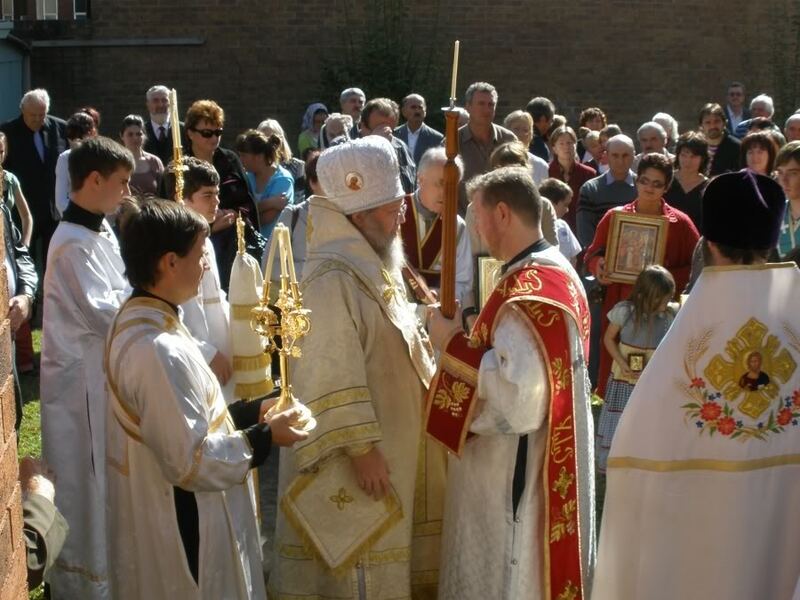 The procession took place in the bright autumn sun, and the faithful – young and old alike -participated by carrying banners and icons. 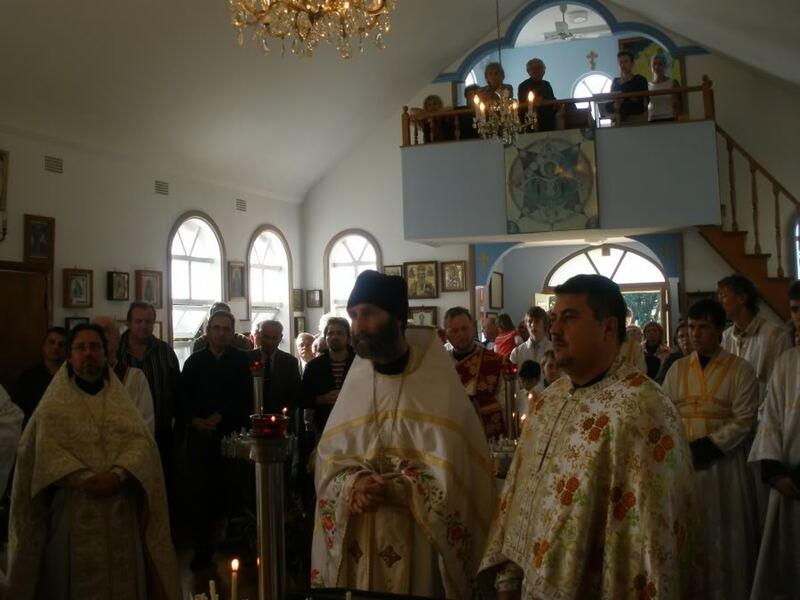 Afterwards, as is customary, “Many Years” was intoned, and “Eternal Memory” was sung for the departed founders, benefactors and parishioners of the Saint Nicholas and Theophany parishes. 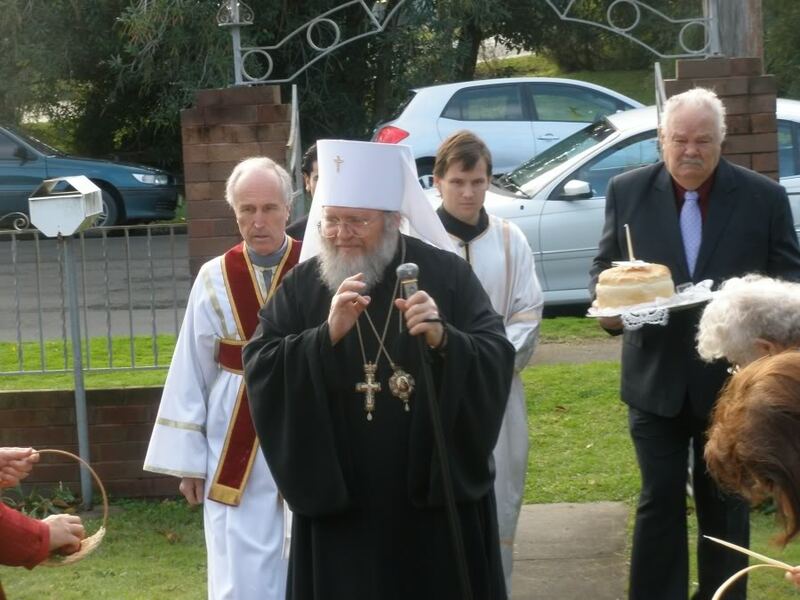 Vladyka Hilarion congratulated all present, and spoke of his joy at the coming together of the two Russian Orthodox parishes in Newcastle. Approximately 120 people then gathered in the church hall for a festive banquet. 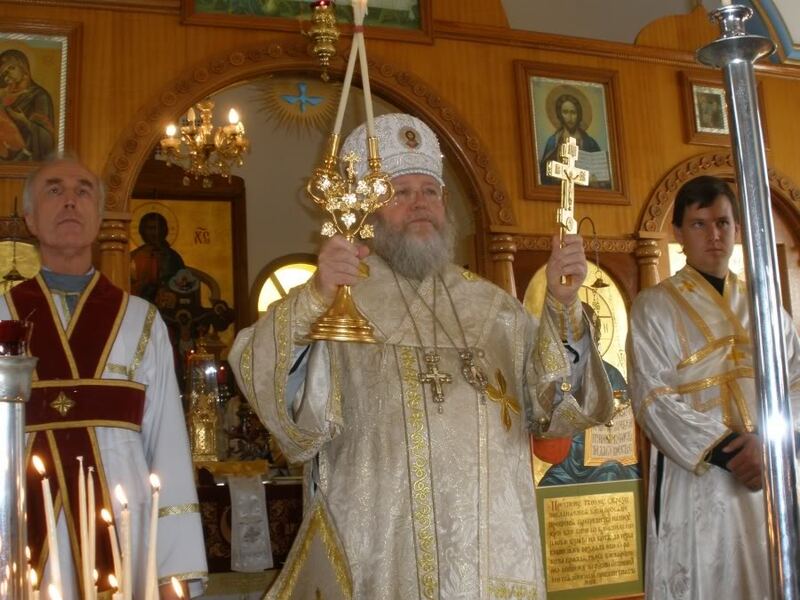 Father James spoke during lunch, welcoming Vladyka and expressing the gratitude of all present for his visit to us amidst all his cares as First Hierarch. He spoke of the coming together of the two parishes, acknowledging that there was some sadness for the Mayfield parishioners in the closure of their church. He hoped that the work of building unity, now begun, would in time yield much fruit. 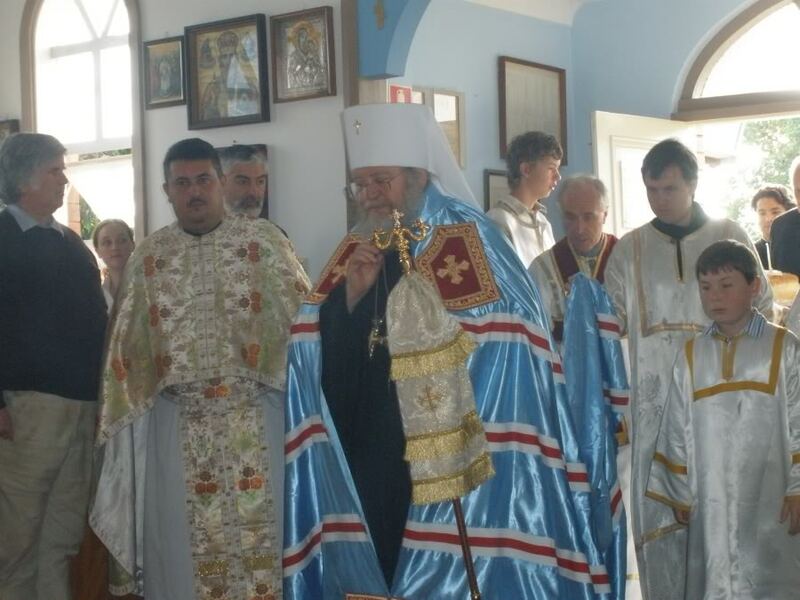 He noted the presence of clergy and faithful from the Serbian and Romanian Orthodox Churches, and spoke of the importance of unity amongst all Orthodox Christians in these times. 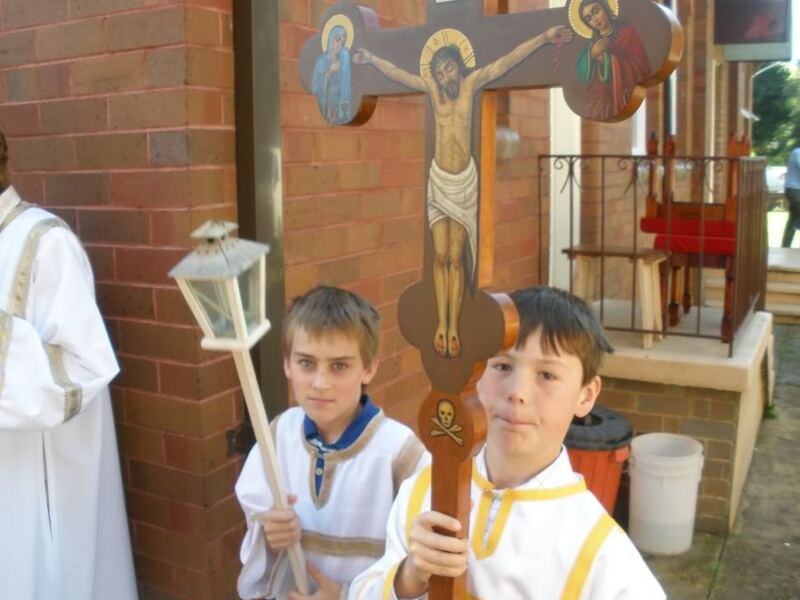 This was indeed a day of great joy in the life of our parish. 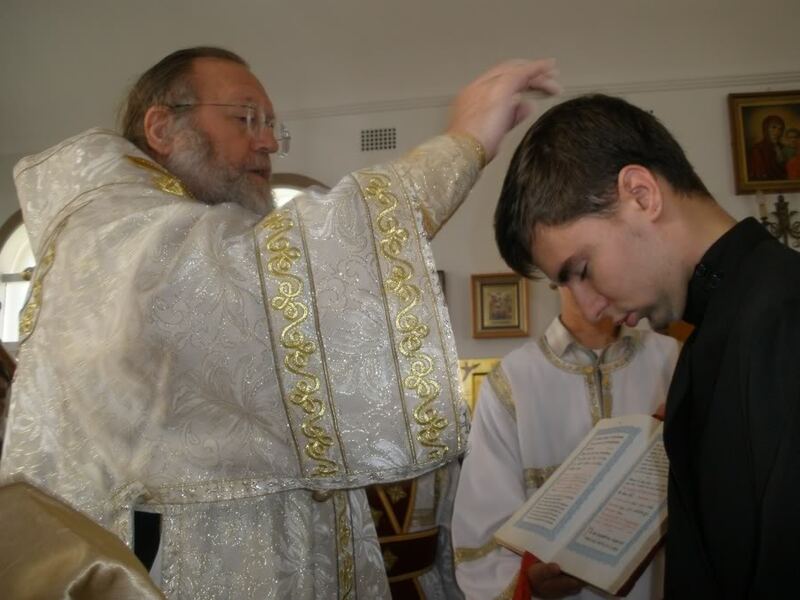 May God help us to grow in our Orthodox Christian faith, and in love for Him and one another!